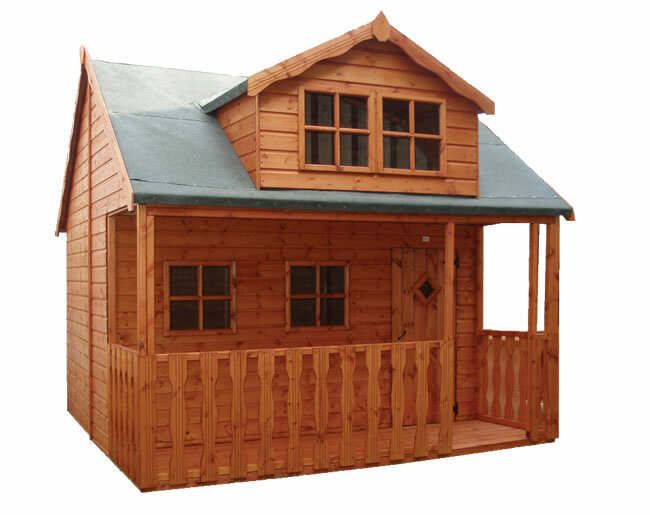 At Taylors Garden Buildings we have a large variety of Wendy Houses for you to choose from, in a number of styles, colours and sizes that are available for you to choose from. 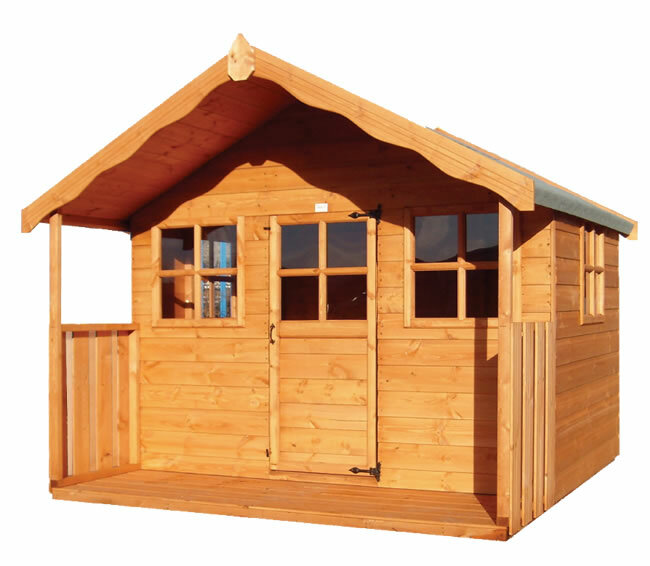 All Wendy houses are manufactured to the highest standards and all meet the EN71 standard. 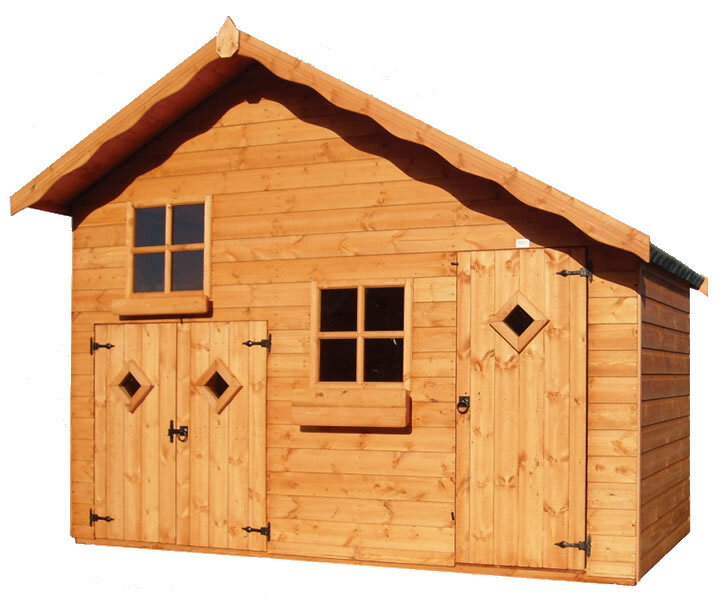 Of course we are also able to manufacture any style or size to your requirements, please contact us for details. The Camouflage Wigwam is a specially designed tent to inspire older children to use as a hideout. Extremely popular and waterproof allowing the tent to be left outside. 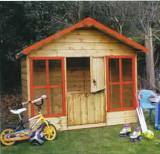 Candy Cabin Playhouse 2.44x2.44m a two storey playhouse. 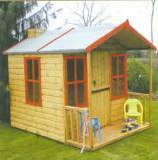 Charleys Castle Playhouse 3.2x3.05m a two storey playhouse with verandah. 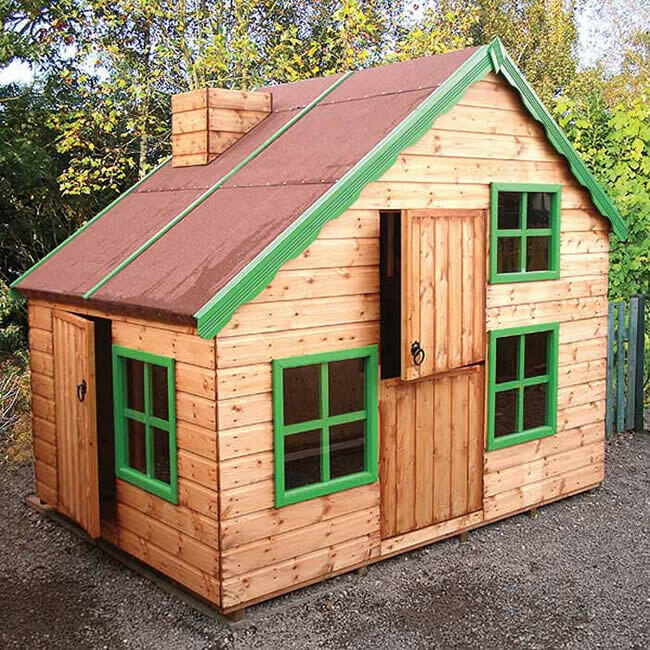 Charleys Castle Playhouse 2.59x3.05m a two storey playhouse. 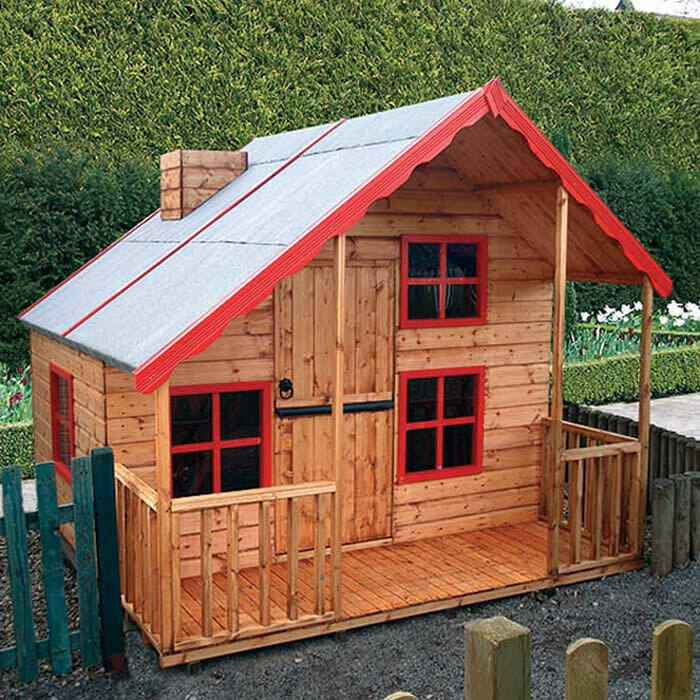 The delightful Forest Garden Apple Playhouse is a lovely 5’x5’ playhouse featuring two windows, stable doors and a decorative veranda. 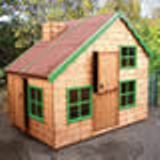 This play house will spark their imagination and have them spending hours outside. 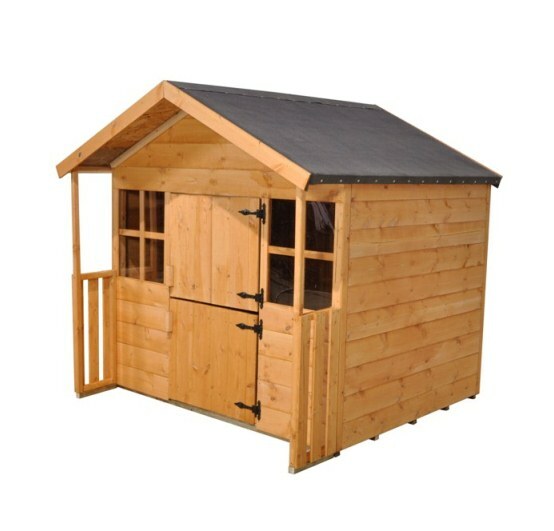 Hideaway Playhouse 1.51x3.05m with integral garage and two storeys. 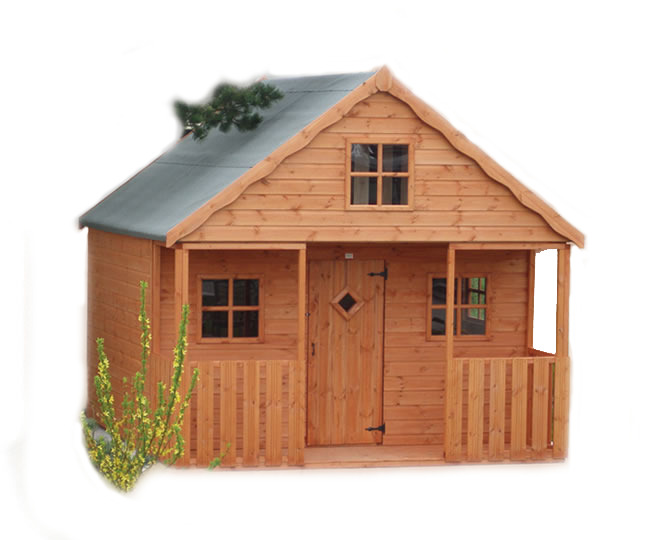 Hideaway Playhouse 1.83x3,05m with integral garage and two storeys. 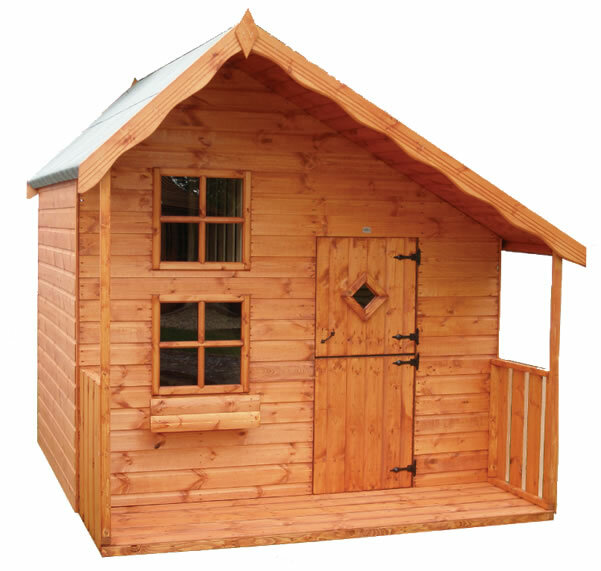 Kids Club House Playhouse 3.05x2.44m two storey chalet style playhouse. 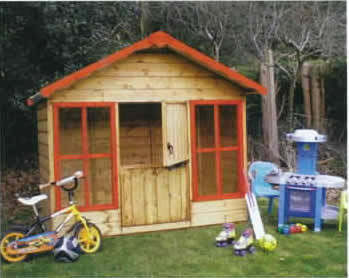 Kids Club House Playhouse 3.05x3.05m two storey chalet style playhouse. Ladybird Cottage Playhouse, a timber playhouse with optional verandah 1.52 x 2.13m. The Pink Love Heart Wigwam tent is the latest addition to our range, designed with a little princess in mind. Endless hours of fun, in any size garden. The Wigwam Play Tent measuring 1.4 x 1.9m (4'7"x 6'3") new and improved design, it now comes with a heavier, longer canvas.